The Texas Supreme Court confirmed that it will hear oral arguments in McGinnes Indus. Maint. Corp. v. The Phoenix Ins. Co., et al., No. 13-20360, case on January 15, 2015. The issue was certified to the Texas Supreme Court by the Fifth Circuit Court of Appeals on June 11, 2014. The Court will decide whether, under Texas law, an EPA order to clean up a site is a “suit” triggering an insurer’s duty to defend. A trial in which the companies’ liability to pay civil penalties to Harris County was litigated, concluded a few weeks ago, with mixed results. As described by the Fifth Circuit Court of Appeals in an unpublished opinion (issued June 11, 2014), McGinnes is in the waste disposal business. In the 1960s, McGinnes removed waste from a paper mill and released the waste into three ponds located in Harris County, Texas, adjacent to the San Jacinto River. During that time, McGinnes was covered by commercial general liability (GCL) insurance policies which required the insurers to defend its insured in any “suit” (an undefined term in the policies) seeking damages on account of property damage. Many years later, EPA sent a series of CERCLA notice letters to Waste Management, McGinnes parent company, including a Unilateral Administrative Order ordering McGinnes to conduct a remedial investigation and feasibility at what became known as the San Jacinto Waste Pits Superfund Site. Failing to comply with the Order would subject McGinnes to substantial civil penalties. McGinnes then notified its insurers of these demands, and requested that they provide a defense in accordance with the terms of the insurance policies. Travelers refused to defend, arguing that no “suit” had been filed. McGinnes then filed a lawsuit against the insurers in the US District Court for the Southern District of Texas, seeking over $2 million in attorney’s fees as well as a declaratory judgment that Travelers was required to provide a defense to the EPA actions. However, the District Court granted the insurers motion for summary judgment, determining that the EPA CERCLA action was not a suit triggering the duty to defend. 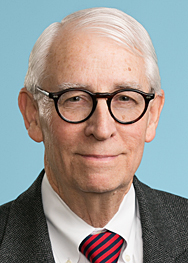 It based its decision on the fact that when the policies were issued in the 1960s and 70s when “this sort of administrative bullying did not exist.” McGinnes appealed the order to the Fifth Circuit Court of Appeals. The Fifth Circuit, realizing there was no controlling Texas precedent to guide it in deciding “an important question of Texas law, for which there is no controlling Texas precedent”, certified a question of law to the Texas Supreme Court, asking whether the EPA’s PRP letters and/or unilateral administrative order received by McGinnes constitute a “suit” within the meaning of the GCL policies, triggering a duty to defend. The appeal was filed on June 11, 2014.